By fitting a small number of Dental Implants it is possible to make your denture more secure, without the need for adhesive. An Implant Denture is held in place by a number of dental implants and can easily be removed for cleaning. Ill-fitting and loose dentures can be a significant problem. An Implant Retained Denture offers a cost effective solution for replacing a full set of teeth. Implant retained dentures offer reliability and improved function over a traditional denture. 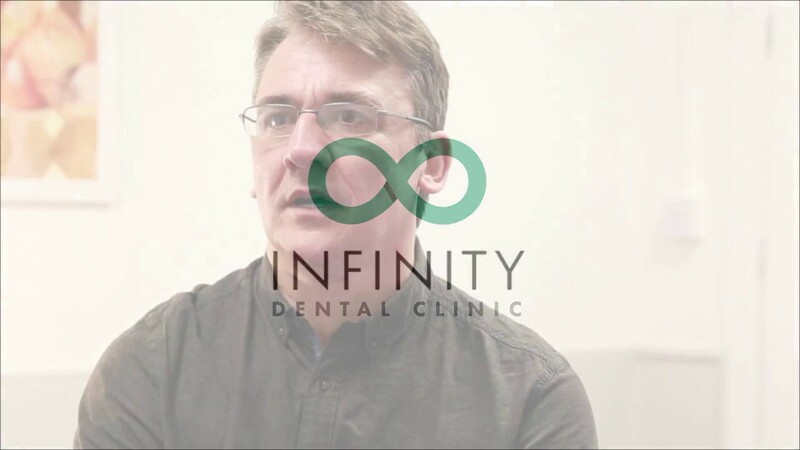 At Infinity Dental Clinic, we understand that losing all of your teeth can be a daunting experience and we will ensure that your treatment journey is as stress-free as possible. Who is Suitable for Implant Dentures? If you are dissatisfied with your traditional denture, then an Implant Denture is perfect for you. Most adults with good general health are suitable for implant treatment. Implant Denture treatment will take on average 3 months to complete. As no one wants to spend time without teeth, we will provide a temporary solution from day one. The Implant Denture can be life-changing, as it will provide you with a secure and stable result. You will notice clear improvements in your speech, ability to bite and chew, confidence and your overall quality of life. 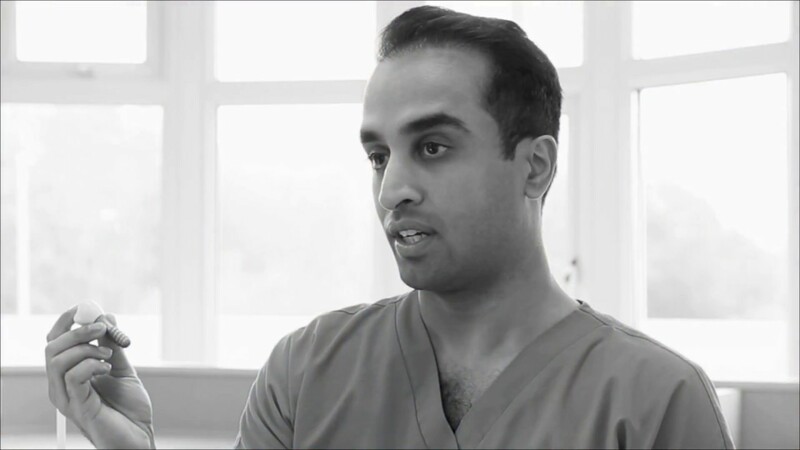 CONSULTATION: Following your consultation with our implant surgeons, Dr Patel and Dr Wilson, you will be provided with a detailed report, which includes the treatment plan and how much the procedure will cost. IMPLANT PLACEMENT: This is a minor oral surgery procedure, performed under the same Local Anaesthesia used in routine dental treatments. We can alternatively provide the treatment using Sedation. The titanium implant is placed into the jaw bone replicating the tooth root. If bone regeneration was planned at the consultation stage then this is usually done at the same time as the Dental Implant placement. The area is then closed and the implant is allowed to integrate. IMPLANT DENTURE MANUFACTURE: Once integrated, the dental implants are ready to have the denture fitted. We are one of only a few dental practices in the UK to provide the latest Digital Dental techniques enabling us to perform Dentistry with optimum precision. Our in house CBCT Scanner and Digital Scanners allows us to provide the highest standards in Dentistry at our clinic. We work with an experienced prosthodontic technical team specialising in making implant dentures. The stages of constructing an Implant Denture are similar to a traditional denture, however, the implant denture will ‘clip’ onto the dental implants – this will securely ‘lock’ the denture in place. We provide a customised bar to provide additional rigid support for our patient’s who require extra stability. This is beneficial for patients who require absolutely no movement of their teeth in the mouth. The Implant Denture is brushed morning and night, and cleaned with a denture cleaning agent. The implants are cleaned using a toothbrush in the same way you would brush your teeth. Traditional dentures may be loose and ill-fitting, and even with denture adhesive the results are often poor. Implant Dentures can offer a life-changing outcome giving you the confidence to speak, chew and laugh without having to worry about your denture letting you down. They are a cost effective way of replacing all of your missing teeth. 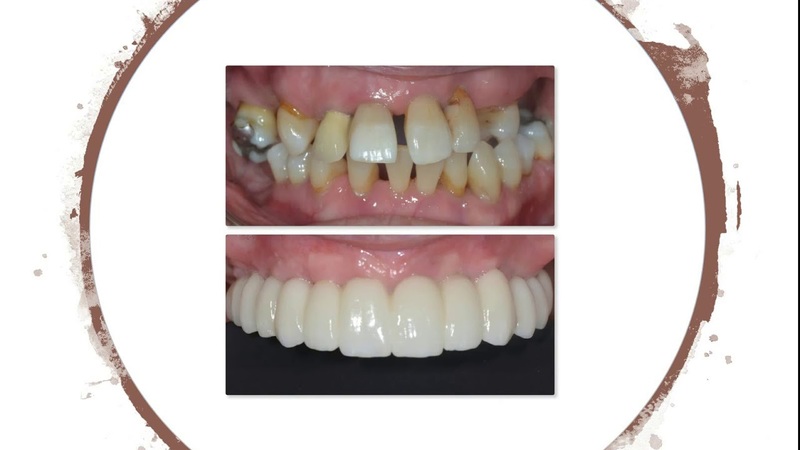 “My remaining lower teeth were removed, and I was fitted with implants; and a handsome set of lower dentures was also fitted, skilfully matched to my existing upper dentures. Throughout the following, necessary visits, I have always received expert, thoughtful, professional treatment for any fittings, or needful adjustments. Doctor Patel always willingly and swiftly fitted extra appointments into his busy working day, whenever I was in need.